Not all vehicles qualify. Additional factory services may be required or recommended. A shop supply fee in the amount of 11% of parts and labor, not to exceed $24.88, will be an additional charge on the invoice. See a service consultant for additional details and final pricing. Sales tax not included. 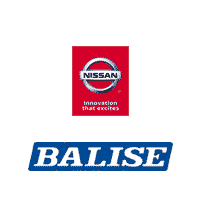 Valid only at Balise Nissan. No one likes spending an afternoon at the garage, but that’s far better than spending a week without your vehicle because it needs some serious repair. If you’re looking for a way to make regular services like oil changes, tire rotations, or multi-point inspections a little less cumbersome, consider taking advantage of one of the coupons or specials you see on this page! Services you already need and the savings you want, all right here for you. It’s hard to overstate how important it is to keep regular with servicing and maintaining your Nissan car, SUV, or truck, but it is possible to sound like a broken record, so we’ll keep this short, and we hope that these service coupons can take a little of the sting out of the whole ordeal. When your Maxima is making a funny sound or the engine light is lit up on the dash of your Rogue, check here first for a coupon or special, then schedule a service appointment, and come on in to see the experts at Balise Nissan of West Springfield.